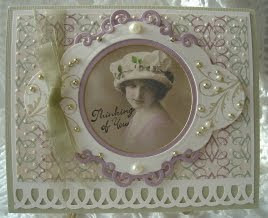 Vada's Blog Stamp Inks and Paper : Some New Cards. Just for fun nothing special. Freebees. Thinking of you is from DOTS. Oh, Vada! "Nothing special"???? 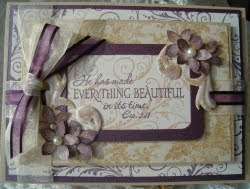 These creations are truly special: color, texture, embellishments, sentiments! Absolutely beautiful. Truly beautiful. So elegant and victorian. I wouldnt say it isnt special, its fabulous! Both of them drop dead gorgeous! What they said- I want to see special if these are nothing special!! !